Enhance your complexion with a foolproof, radiant flush. Absolute New York Blush Balm is a unique cream blush that can be effortlessly blended out over the skin, delivering a naturally luminous and believable pop of colour to cheeks. Crafted with a gorgeous blend of waxes and pigments, the silky smooth formula comes in an array of shades and finishes to flatter any skin tone. When it comes to blushes, I usually stick to powder blushes. Lately, I have been seeing more and more cream and liquid blushes as well as products that act as a two-in-one (lips and cheeks, eyes and cheeks). As someone who's always willing to try something new, I decided to give cream blushes a try. I'm not a big blush girl - I keep my blush shade range pretty neutral; not too pink or rosy. When I apply powder blush, I take the slightest amount. The thought of cream or liquid blushes puts me in fear. "A little goes a long way" comes to mind as it is very true. If I apply powder blush at its minimal, how little do I apply when the product is a cream or liquid? And would even a little amount be too much for my liking? 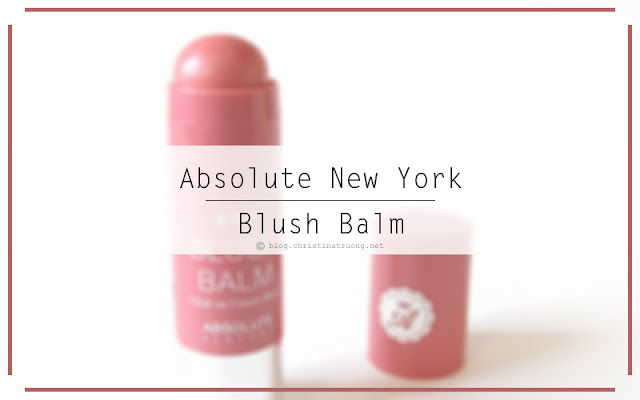 The Blush Balm by Absolute New York in Spiced Rose provides a pink hue when swatched. Once blended, however, the shade becomes a pale pink. The blush balm is buildable, adding a few more swipes will create a more light pink rose shade. As someone who doesn't like a lot of blush, Spiced Rose provides the perfect hue for my liking after two swipes on the cheeks and blend. The application couldn't be simpler - just sweep the Blush Balm over cheeks and gently blend in with fingertips or a brush. It's creamy and easily blendable. The blush stayed in place and lasted throughout the day. Overall, I am really surprised at myself for liking this product since I was hesitant at first. I love the lightweight creaminess and smoothness of the product. It blends easily and completely buildable if I ever want more noticeable blush. Best of all, it stayed on all day and didn't smudge around. 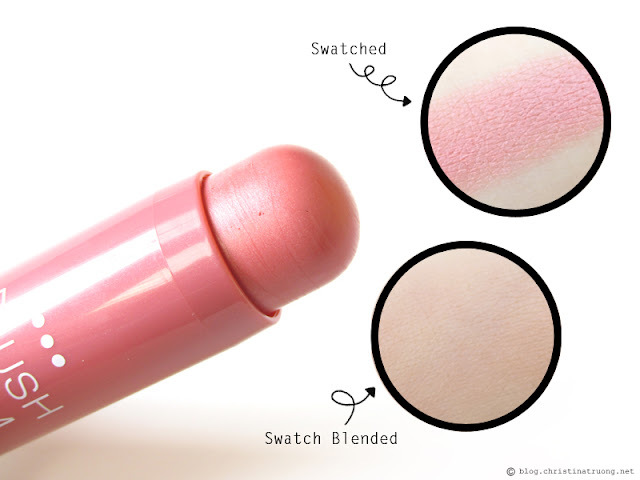 What do you think of the Blush Balm? Have you ever tried any products from Absolute New York? Do you prefer powder or cream/balm when it comes to blushes?